Massachusetts voters on Tuesday passed a landmark law to protect farm animals from intensive confinement. 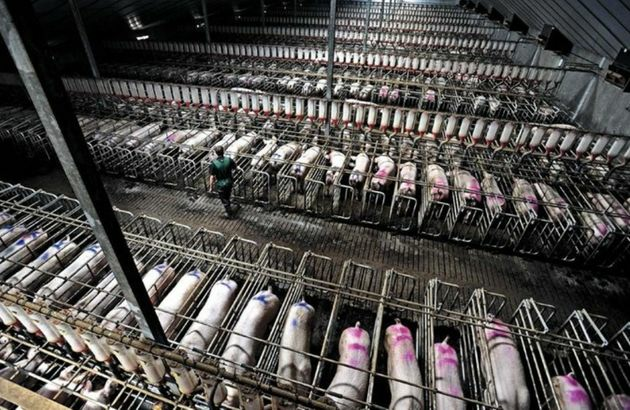 The initiative will eventually prohibit farming methods that keep animals severely constrained for virtually their entire lives, including the use of veal crates for baby calves, gestation crates for mother pigs and battery cages for egg-laying hens. Eleven states have passed bans on one or more of those practices. The Massachusetts measure will outlaw all three, and then go further. It will also bar the sale of meat and eggs produced using those methods, even from animals that were farmed outside the state. Public polls consistently showed the measure receiving strong support, and while several agribusiness groups opposed the initiative, they spent little to campaign against it.